Don’t know your Levorg from your Impreza? Don’t worry, we’ve got everything you need to know about Subaru right here. 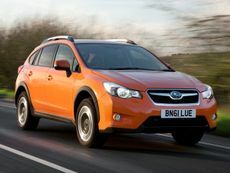 The XV is the smallest SUV in Subaru’s range, and promises strong off-road ability in a utilitarian package. Rivals include the likes of the Seat Ateca, Toyota C-HR and Mazda CX-3. The Impreza offers four-wheel drive and an automatic gearbox, but is that reason enough to choose it over a Volvo V40, a Skoda Octavia or any number of small SUVs? 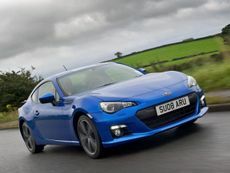 If you want to remember the joy of driving, without going at triple-digit speeds, the Subaru BRZ is a brilliant way to get your fix. The Forester has always been a favourite with the Barbour jacket set, but Subaru is hoping the latest enhancements to comfort and refinement will help it appeal to a wider demographic. Subaru has a long history of fast and fun turbo estates, but is the new Levorg a worthy successor to the likes of the Legacy Spec-B and Impreza STI? 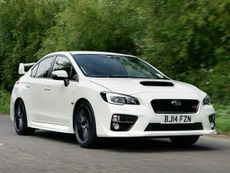 Read the Subaru WRX STI (2014 - ) car review by Auto Trader's motoring experts, covering price, specification, running costs, practicality, safety and how it drives. 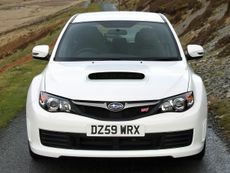 Read the Subaru WRX STI saloon (2010 - 2013) car review by Auto Trader's motoring experts, covering price, specification, running costs, practicality, safety and how it drives. 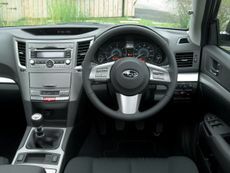 Read the Subaru Legacy estate (2009 - ) car review by Auto Trader's motoring experts, covering price, specification, running costs, practicality, safety and how it drives. 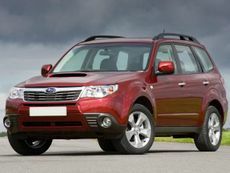 Read the Subaru Forester 4x4 (2008 - 2013) car review by Auto Trader's motoring experts, covering price, specification, running costs, practicality, safety and how it drives. 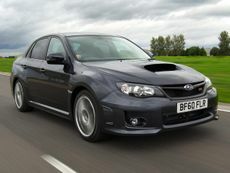 Read the Subaru WRX STI hatchback (2007 - 2010) car review by Auto Trader's motoring experts, covering price, specification, running costs, practicality, safety and how it drives. 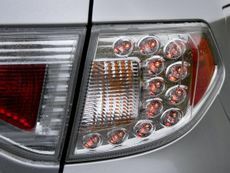 Read the Subaru Impreza hatchback (2007 - 2011) car review by Auto Trader's motoring experts, covering price, specification, running costs, practicality, safety and how it drives.